This sounds like total nonsense. I can’t envision an scenario where they bring Darth Vader back that wouldn’t be a totally horrible move. What, did he and Luke somehow fake his death at the end of Return of the Jedi and he’s been hiding out on some unknown planet for the last 30 years? Even if he appears as a Force Ghost, we’ve seen in the past that he doesn’t show up in Vader form, he materializes as Anakin. We can all admit that this is a bad idea, but let’s assume for a moment that it is in fact true. This is, admittedly, a big leap. 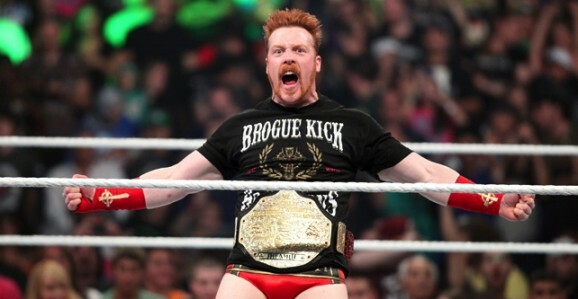 Odds are, if Sheamus does wind up as Darth Vader in Episode VII, he’ll just be the guy in the suit. A bodybuilder filled out Vader’s iconic suit in the past, so a big, muscly guy doing the same again isn’t a stretch. The only way I could see Darth Vader returning, without it being the absolute worst idea ever, would be if there a was a scene like what Luke experiences in the Dark Side Cave. He could battle the darker side of the Force inside of him, personified by Vader, or something along those lines. We’ll have to wait and see if anything materializes with this—let’s hope it doesn’t—but for now the real question is what were they filming on Skellig Michael? I’m not hugely knowledgeable about movie production, but three days on location isn’t all that much. At most it’s probably a couple of short scenes, without a ton of action or special effects. Given the stunning nature of the scenery, perhaps it’s akin to Luke’s trips to Degobah, a kind of interlude in a strange setting. I do have a theory based on the recent rumors and innuendo we’ve heard about Episode VII. One report says that Luke has been incommunicado since the Battle of Endor at the end of Jedi, and that no one has heard from him in 30 years. If this is true, and that’s a big if, it stands to reason that he’s in hiding someplace remote and hidden, probably under an assumed name. I also count his “contractually obligated” beard among the various pieces that could support this. 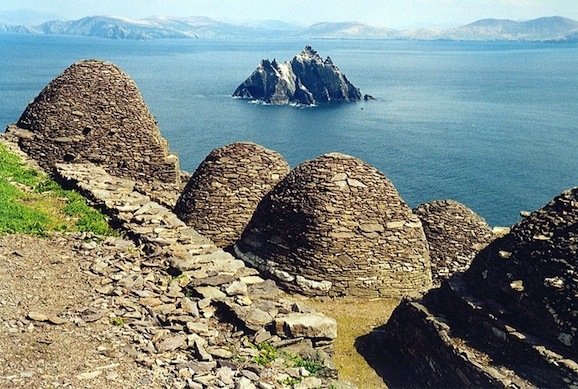 Skellig Michael certainly has the appearance of an out-of-the-way ocean world, and those stone huts and ruins left over from the monastery that was once there would make for a fantastic setting. Can’t you just imagine Han and Chewie setting down on this world, seeing a shadowy figure backlit in one of those doorways, only to realize that it’s their old pal Luke Skywalker sporting a burly woodsman beard? That could be one hell of a reveal. Again, this is all speculation. We won’t know anything for sure until Star Wars: Episode VII opens December 18, 2015. I hear Justin Bieber is in the new SW movie. He’s playing a dusty rock in the desert. I have one word for you re: Darth Vader-CLONES. Why concern yourself with the loss when you can just make a bunch more?